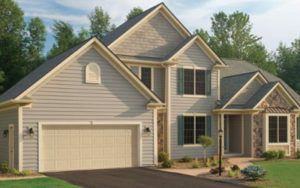 Garage door, means the largest and the most usable part of your house. Several times you open and close the door during the whole day. Generally, people use this large space to store unwanted stuff or park vehicle. If you use it as your main entrance, there is no idea that how many times you open the door. Due to its uncountable use, it requires daily maintenance and repair service. If you give a little attention on your garage door, it can help to extend the lifespan of your door. Undoubtedly, there are so many garage door issues you face in your daily life. But with little maintenance and repair tips, you can stop these issues permanently and save hundreds of dollars. Whether you have a commercial or residential garage door, it the most important thing to add curb appeal to the premises apart from providing the security. In some rare cases, the door open and close on their own, even if the owner has not instructed the door to do. This is the different case, but sometimes, it does not open and close, even if the homeowner tries to open it. You can imagine yourself that you are ready to going office and trying to open an overhead door, but it is not ready to open. Sometime, issues that continue with the door surprise you. Even that some issues are uncommon and you are not ready to deal with them. In such situation, you is best to leave the garage door repair up to a professional. He will tell you the possible reasons that why your overhead door creates problems. 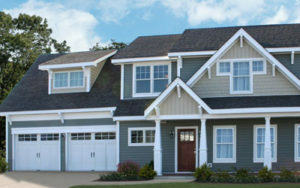 When it comes to buying a new garage door for your house, making the right decision can be very tough for you. As it is an important part of your house, you don’t want to take any chance with this special component. Wrong information prevailing in the market can make your decision tough and complicated. When you are thinking about to buy a new overhead door, it is crucial to separate facts from myths. If you successfully separate them, you can make a wise decision and avoid regret. The garage door is the most important object in your house that you use multiple times in a single day. It protects you and your family from burglary and any kind of natural hazards. An overhead door plays an incredible role to keep your valuable or belongings safe. To keep your garage door in smooth and good working condition for years to come, you should pay an extra attention to its maintenance and repair service.